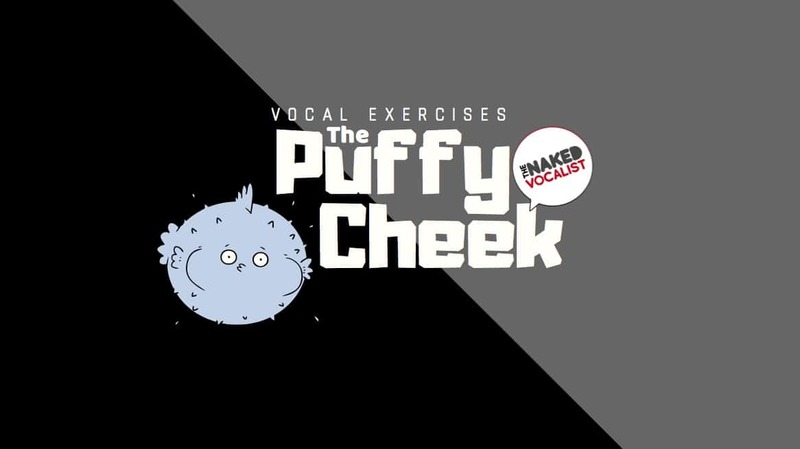 Add a PUFFY CHEEK To Your Vocal Warm Up! There are so many warm up exercises out there to choose from and it can be overwhelming. Actually, nigh on impossible to choose. Despite the enormous buffet of suggestions in cyberspace, there are a few that most singers can take a chance on. This is certainly one of them. The trick is to keep your mouth closed. Sounds silly, I know, but keeping your mouth closed keeps helpful energy in your instrument. For example, if you hum you’ll feel the acoustic energy buzzing on your teeth! If you use this little voice hack, you’ll also feel the aerodynamic energy filling your cheeks. We can use all of that energy to our advantage as we warm up, or when we’re trying to solve problems. Who is this vocal exercise for? Anyone really. If you haven’t tried it in your warm up before, try it. If you don’t warm up at all, then you should definitely try it. Maybe you’re trying to solve a problem? It has its uses there too. Check out the video below for our fun, and maybe a little odd, intro to performing this exercise. It’s essentially singing into your cheeks, where you allow the air that comes through to comfortably fill your cheeks and the space behind your lips. So you look like Pob (for any 90’s reminiscers out there). Perceiving a kind of ‘OO’ shape underneath, along with a tongue tip that is resting towards the front teeth, will help to settle the throat a little as you do it. As explained in the vid, one place for this exercise is song lyrics and melodies. That can give your voice a chance to experience those meandering intervals and melody jumps with much more help and stability. Before you get into melodies, it’s often good to run this exercise out in a more controlled environment. Pitch glides from low to high and back down again, like the sound of a siren, are a really good start to getting your voice stretched and limber. Spending 2-3mins doing that is pretty much all that’s needed. After that, try turning it upside down and dive bombing from your highest (but still comfortable) falsetto note all the way back down to your lowest note. A minute or so spent doing that will also help. You could also whack it on your favourite scales or add sustain and vibrato. It really is up to you. Before you dive in head first, give the next section a read so that you don’t run in to problems! Because the closed mouth only allows air to release very slowly, that increases the pressure inside your mouth which is why your cheeks and lips puff out. That pressure pushes back on the pressure that comes from your lungs, so it’s a great reset exercise for those who accidentally push a lot of air at their voice. There are a bunch of singers who are little ‘low energy’ when it comes to vocal delivery. That might result in breath flow that isn’t quite enough to fuel the voice, and that can create a kind of strangled feeling in the throat. It usually comes along with a quieter sound too. The puffy check is great for that because the lips give a resistance to the airflow. Low energy singers will notice that their bodies respond to that by increasing the amount of energy needed to sing against that. The result, and more vibrant sound. 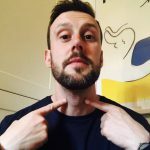 This one is mad common, but for anyone who might feel a lot of pressure and squeeze in the throat this exercise is great for you. The pressure in the mouth and from the lungs can gently encourage the vocal folds apart slightly. As you make sound the vocal folds barely contact, which avoids potentially damaging levels of pressure and collision. Not only is this great for ‘squeezy’ folds, but it’s also great if your voice is very tired, need warming up or is potentially unwell/inflamed. For these situations, you can warm up with a puffy cheek and cost your voice less in the process. If pressure above and below the vocals folds is balanced out, breathing is better AND there’s less squeeze on the vocal folds, this exercises will influence the balance of registers. The aim of that? To try and smooth out that break in the middle and achieve the mysterious ‘mixed voice’. Who doesn’t want more of that??? The puffy cheek can also be a tool for refining specific registers in isolation. For example, if your falsetto is tight, rough and difficult to access then I haven’t met many singers who didn’t benefit from facing that demon with this exercise. There are plenty of occasions where this exercises just gets in and makes the muscle do different things for a short period. For some strong vocal problems, to sing in the puffy cheek can be so unusual and disorientating for the usual habit that it gets kinda scrambled. As the bad habit scrambles you might have new singing experience directly after the exercise. Notice it. Be mindful as you sing to understand what is working well, relaxing or feeling different. Maybe that’s in the throat, in your jaw, and/or in your body? Noticing these things will make all the difference in making sure that the effects last and you don’t slide back into your old ways over time. 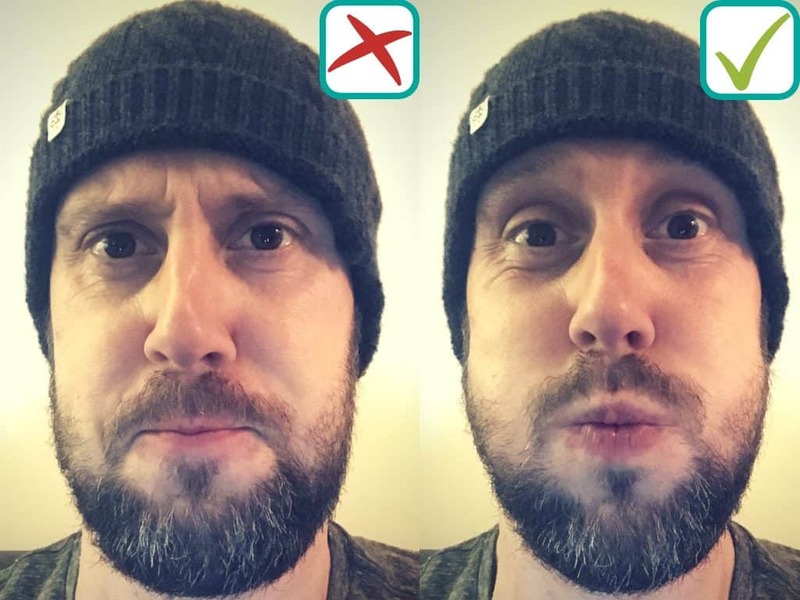 You can actually perform this exercise without puffing out the cheeks, but for the biggest relaxing effect on all of the parts it’s best to go with puffy initially. Try doing this in the mirror to monitor the air in your cheeks and behind your lips. If your cheeks un-puff half way through the scale or song segment, then you’re unknowingly withholding air and squeezing the vocal folds. If this happens, allow the air to come through the fill the lips at all times and you should be able to feel the relaxation happen in the throat. That one is really important. You may also see one side puff out more than the other, or the air disappear from behind the lips. Again, release the tension in your face, mouth and jaw by allowing both cheeks and lips to fill evenly. The air is our friend in this exercise. Allowing it influence the vocal folds and the spaces in the throat and mouth without a fight is the key to getting the best out of it. So, as best you can, trust the air and let go of the need to hold yourself together with tension. Incorporate this into some sort of daily activity for your singing. Just spending 3-4 minutes, a couple times per day can be enough to teach your voice a new way forward. It’s a fairly inaudible exercise (because the mouth is closed, obvs) so you could do it in the noisy street. You can do it and the neighbours won’t hear. You can do when you’re in the shower. Either way, just do it and keep me posted on your progress or problems by commenting below! Chris is an expert vocal coach and mentor based in London. 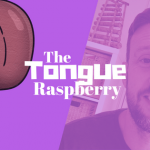 He works with major label recording artists, West End actors and songwriters, helping them maintain a voice that's ready for a demanding industry. Chris is also a writer for iSing Magazine, a founder/presenter of The Naked Vocalist podcast, a voting member of Pan American Vocology Association, and a teacher trainer/vocal coach with the Vocology In Practice network. All that aside, he's a pure and true music fan with a penchant for Donny Hathaway and songs about heartbreak. Suffering from vocal tension? Give yourself a massage! Ah thanks 🙂 Go for it!